James Waugh is the Vice President, Franchise Content & Strategy at Lucasfilm. His professional passions lie in franchise development through the tapestry of compelling and interlocking narrative content. 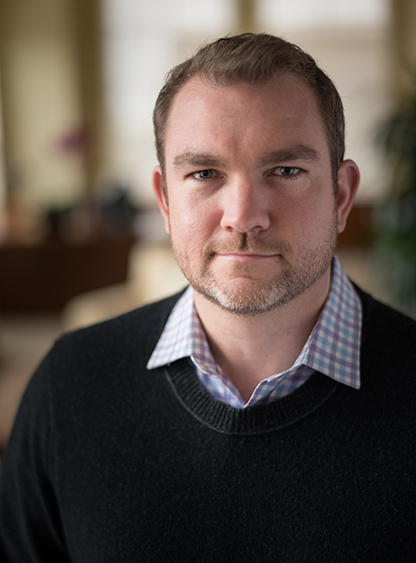 At Lucasfilm, Waugh oversees content and transmedia strategy and leads narrative development across franchise lines of business and platforms including Parks, Games, Immersive Entertainment (ILMxLAB), Publishing, Consumer Products, Content Marketing and Digital/Online Content initiatives. Prior to joining Lucasfilm, Waugh served as the Sr. Director of Story & Creative Development at Blizzard Entertainment, leading the company’s Creative Development department, while overseeing narrative and IP for its blockbuster franchises across media. While there he was a key contributor to Overwatch, World of Warcraft, Diablo, Hearthstone, StarCraft, and Heroes of the Storm, along with serving as the game Story Director for StarCraft 2: Legacy of the Void and StarCraft 2: Nova, Covert Ops. He was the Director of Story Development for the Overwatch franchise from its inception through release and oversaw all transmedia fiction that built to its record-breaking launch. In the games-to-film space, Waugh spearheaded Blizzard’s development on projects with ABStudios and Legendary Films. He played a critical role in the development of Warcraft: The Beginning, the feature film directed by Duncan Jones and is credited as a Project Consultant on the film. Before his nine years at Blizzard, Waugh worked in more traditional film roles as a Development Executive, Screenwriter, and Story Analyst. He received a Script Consultant credit for his work on the independent film, Skills Like This, which won SXSW’s “Best Narrative Feature Audience Award.” He was also an Associate Producer credit on the independent film, Looking for Sunday, starring Orlando Jones. For Star Wars, Waugh strives to build evocative content across media and pioneer new forms of storytelling.